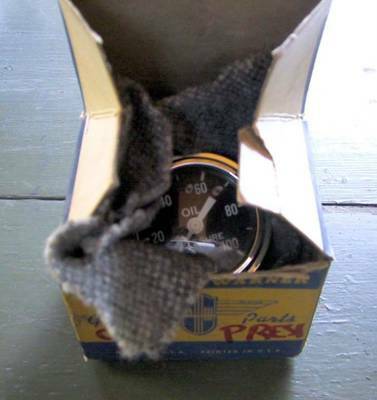 Tucked in an army blanket scrap, the correct new old stock gauge for the box. This is a true transition gauge. The newer 'big block' logo, first year of the new logo, still curved glass face and in an older logo 'wings' box. A dazzling find but not even the best of the weekend.